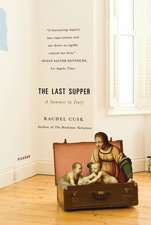 Rachel Cusk is the author of three memoirsA Life s Work, The Last Supper and Aftermathand seven novelsSaving Agnes, winner of the Whitbread First Novel Award; The Temporary; The Country Life, which won a Somerset Maugham Award; The Lucky Ones; In the Fold; Arlington Park; and The Bradshaw Variations. She was chosen as one of Granta s Best of Young British Novelists 2003. She lives in London. De (autor) Françoise Sagan et al. De (autor) Olivia Manning et al. De (autor) Euripides et al. De (autor) Kingsley Amis et al. De (autor) Rachel Cusk et al. De (autor) Joanna Kirk et al.